It was a privilege to represent the board at Kay Lasante this Spring. Our board visits are short, supervisory trips that are a mixture of listening to the staff's concerns, conducting trainings, solving problems and encouraging the staff. 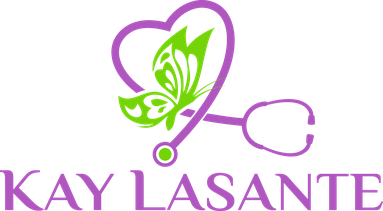 I am happy to report that Kay Lasante is doing a tremendous job of providing quality healthcare to Haitians who otherwise wouldn’t have access. I’ve known many of the staff members for more than ten years; their resilience and professional growth is remarkable. Any visitor to Haiti will quickly note the problems the country faces -- lack of quality education, poverty, government corruption, unemployment, lack of natural resources, not to mention the too-common natural disasters. Yet, in this land of what might seem to be impossibilities, Kay Lasante is bursting with hope. While we receive generous offers from our medically trained friends in the States to visit Kay Lasante, a founding principle of Kay Lasante is that effective, dignity-giving healthcare occurs within the language and culture of Haiti. In the “republic of NGOs” as Haiti is known, it is a huge success to see Haitians helping Haitians. Donahue, our administrator who just celebrated a year at Kay Lasante, allowed us to reach our goal of offering health care to Haitians by a 100% Haitian staff. Donahue, who tracks all the clinic's activities, reported that we saw more than 800 patients last month. The bulk of visits are primary care physician visits. But we also provide nurse only visits, which may include blood pressure checks, diabetic care, and acupuncture. I was inspired by watching our physician, Dr. Belfort, work tirelessly evaluating, educating, diagnosing and treating patients. Working in primary care myself, I have a shared understanding of what it means to go the extra mile to provide quality care. Dr. Belfort takes time with each patient, not only to provide medical expertise, but also to give the compassion and motivation that will save lives beyond the medicine he is prescribing. One patient, beaming with a sense of empowerment, insisted I take her photo because she wanted to her story told to our funders. She is a diabetic who, through Dr. Belfort’s counseling to change her lifestyle, was able to successfully stop her medication. The more patients the clinic sees, the more patients our staff will encounter with serious illnesses. One of the biggest fears for women in Haiti is cervical cancer – a disease more prevalent in Haiti than anywhere else in the world. In fact, it is the leading cause of female cancer deaths in Haiti. Just a few weeks before my visit, one of Kay Lasante's patients died due to untreated cervical cancer. The staff was devastated at the loss and determined to do more to prevent further cervical cancer deaths in their community. Addressing the threat of cervical cancer was central to my visit this spring. One of my main goals was to establish cervical cancer screening at our clinic. There is a new, innovative method of cervical cancer screening called Visualization and Inspection with Aceitic Acid (VIA), which has been shown in developing countries to be just as effective as the pap smear for preventing cervical cancer. If women have this screening, along with the same-day treatment, just two times between the ages of 30 and 50, their risk of getting cervical cancer can be reduced by 80 percent. VIA costs less than a dollar per visit and requires no second visit for follow-up, in contrast to the pap smear which is expensive, requires multiple visits and is inaccessible for most Haitians. Best of all, VIA programs are now being introduced in Haiti, where the need is so great. While in Haiti, I was able to meet with one organization that does the training for VIA. The organization believes Kay Lasante is positioned well to reach Haitians who otherwise would not have access to the screening and is eager to partner with us. The training will prepare three of our nurses to conduct VIA at our clinic in the "see and treat the same day" model. They will also assess which patients need referrals for further treatment. During my trip I also conducted an all-staff training about cervical cancer and what VIA at our clinic will look like. We had a meaningful time discussing questions and myths about cervical cancer, and Kay Lasnte's new role in prevention. Empowering our staff, especially the nurses, to meet such a vital health need in a cost-effective and community-based service is what Kay Lasante is all about. Though the Kay Lasante staff is tremendously determined to implement cervical cancer screening, we still need resources to make this vital program a reality. The cost to begin the program is $5,000, which includes a week long training for our three nurses, the cryotherapy instrument (which is a one-time cost of $2,000,) and various other supplies. We also would incur additional expenses for the training nurse to supervise the program monthly. This will ensure the staff has and maintains the proper resources and expertise. While these costs are affordable, they are outside of our regular budget. Would you consider making a contribution towards our cervical cancer prevention program? It would make a real difference in the lives of the community Kay Lasante serves. To address Haiti's leading cause of female cancer deaths, Kay Lasante's staff is eager to be trained to implement a new screening process to detect cervical cancer early. We are in need of $5,000 to start this initiative. Your donation could help make this effort a reality. To contribute, please click the green "Donate" button.